VetSalute.org | To make the public aware of the law signed by the President in 2008 allowing veterans to salute the flag during the national anthem at public events to show their pride and be honored for their service to our country. Our Mission: To make the public aware of the law signed by the President in 2008 allowing veterans to salute the flag during the national anthem at public events to show their pride and be honored for their service to our country. 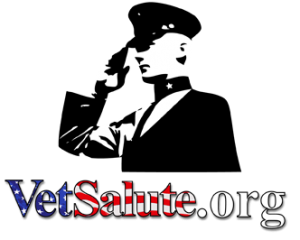 VetSalute is a movement started by veteran and astronaut Buzz Aldrin to make people aware of the legislation signed into law in 2008 allowing military veterans to salute the flag during the National Anthem. “With the President’s signature, we have finally revised the law to give veterans the proper distinction of saluting during the National Anthem… Those who are currently serving or have served in the military have earned this right, and their recognition will be an inspiration to others. The salute is a form of honor and respect, representing pride in one’s military service. Veterans and service members continue representing the military services even when not in uniform. The U.S. Code is now consistent for veterans and all service members in regards to the symbolic gesture of the military salute. Dr. and Col. Buzz Aldrin (USAF ret.) is an American and world historical icon as one of the first two men to have walked on the moon during the Apollo 11 landing. He also is a Korean War Veteran so to call him patriotic is an understatement. He’s proud to talk about his patriotism wherever he goes and more importantly, show it. One of those ways is to salute the flag during the national anthem at any event he attends. Unfortunately, most veterans don’t know that this is allowed. It’s Buzz’s mission to make people aware of this law and this is why he has started the VetSalute movement.During this crucial time in our nation’s history Buzz would like veterans to be honored and recognized for their contribution to our country. Back in 2008 the President signed legislation allowing veterans and military personnel out of uniform to hand salute the flag during the National Anthem as a form of honor and respect, representing pride in one’s military service. We would like to make people aware of this act and so Buzz Aldrin has started a movement called VetSalute. If you are a military veteran or a serviceman out of uniform, please join Buzz Aldrin, if you choose to, in saluting our flag during the national anthem – whether you are in the audience, watching on TV or listening on the radio. Hand salute the flag with Buzz to show your pride and be recognized and honored for your service to our country.